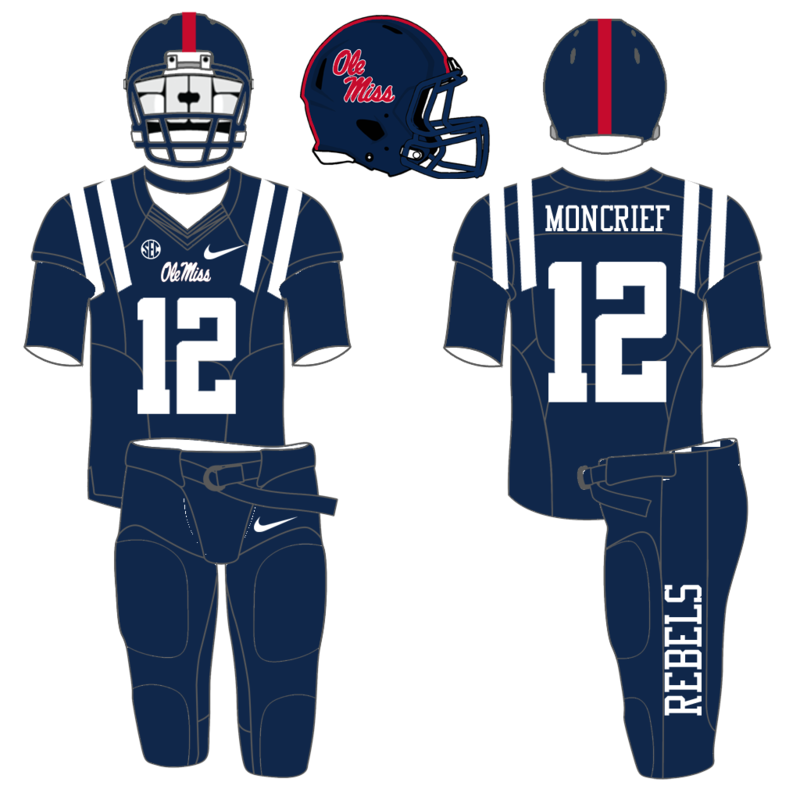 Despite the disappointing end to the regular season with losses to Mizzou and Mississippi State, the Rebels finished with a 7-5 record and will play against Georgia Tech in the Music City Bowl to end the season. 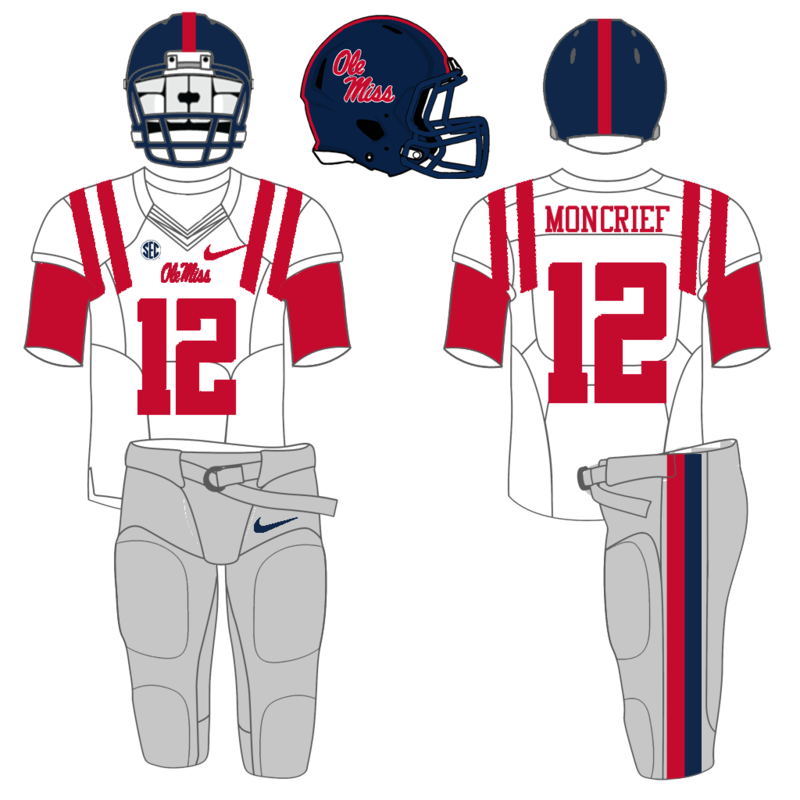 The most worn uniform combo this year was Blue/Red/Gray. 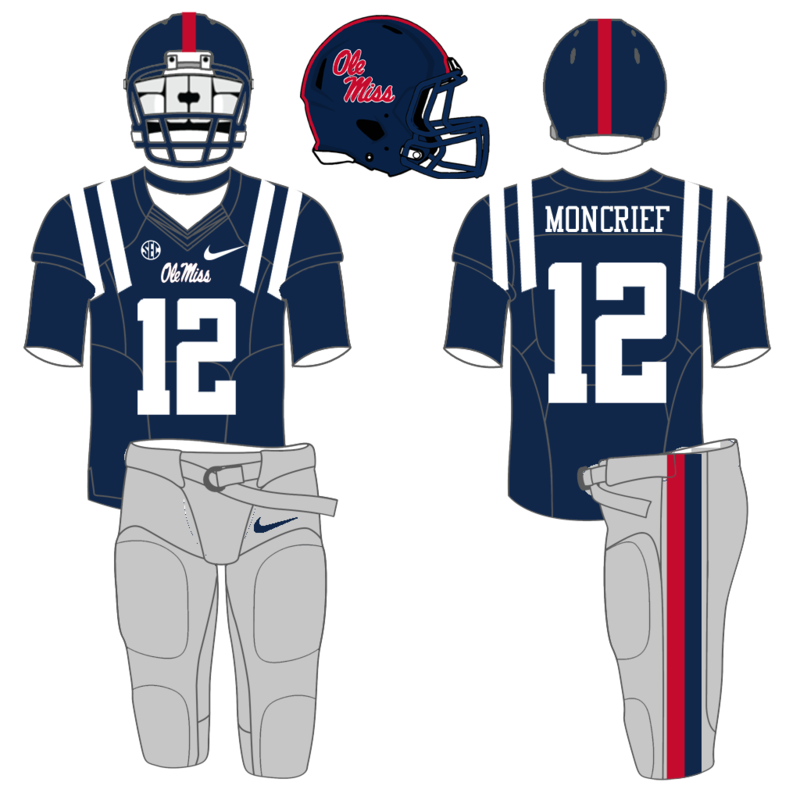 The navy jersey was worn 3 times, each time with a different pairs of pants. 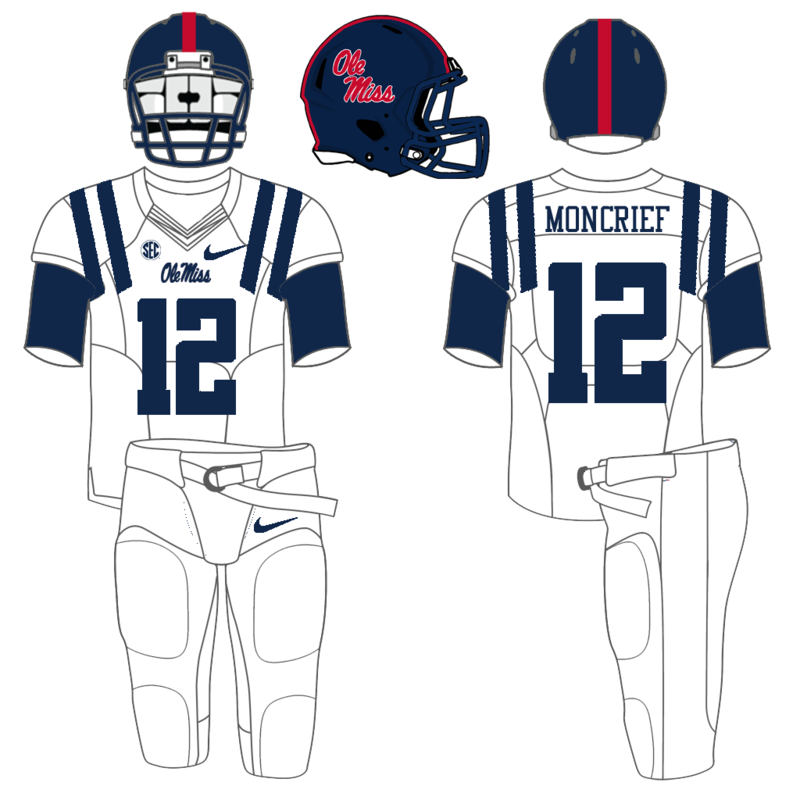 The main away jersey this year was the one with blue numbers and stripes. It was worn with blue pants twice and with white pants twice. 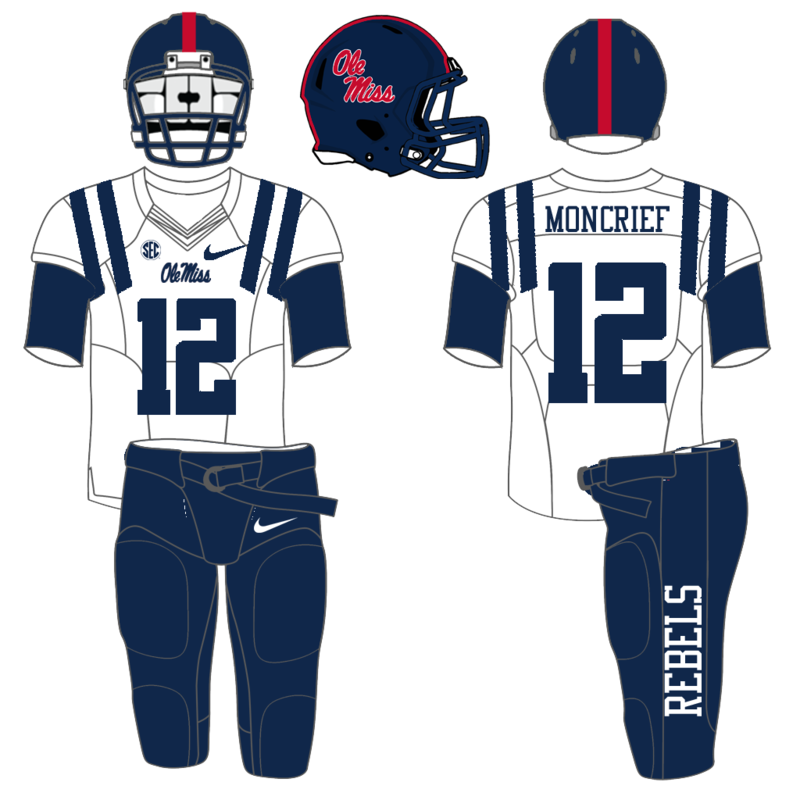 During the Egg Bowl, the red stripe down the middle of the helmet was removed. 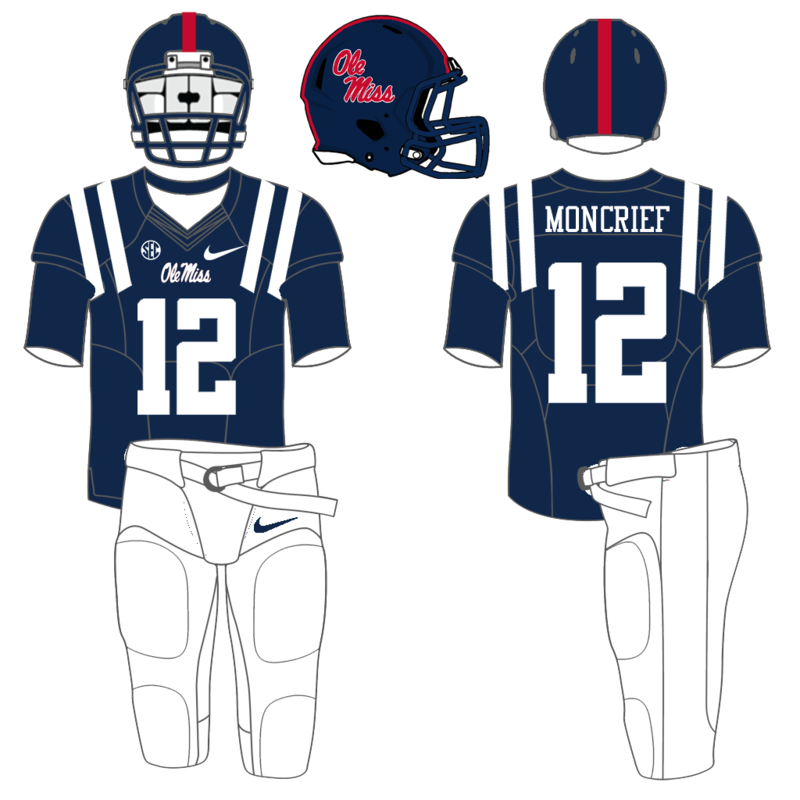 The away jersey with red stripes and numbers that was the only away jersey last year was only worn once this year. The best home uniform, winning percentage wise, is the navy jersey. Likewise, the blue-accented away jersey was more lucky winning percentage wise. 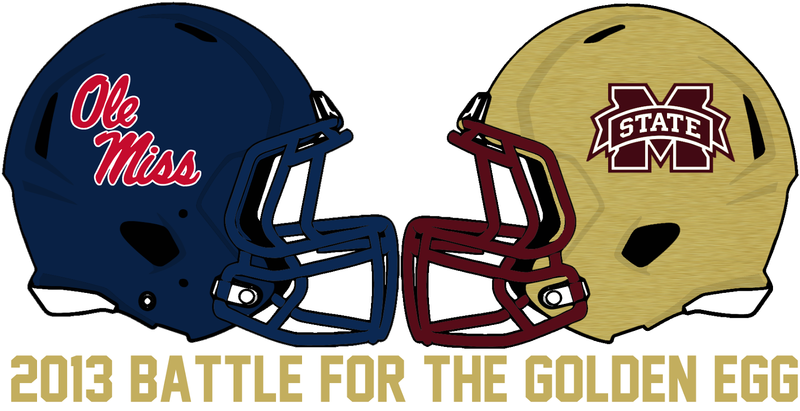 Only one helmet was worn (two if you count the stripe-less version worn in the Egg Bowl as being different. ), 4 jerseys were worn, and 3 pants were worn. 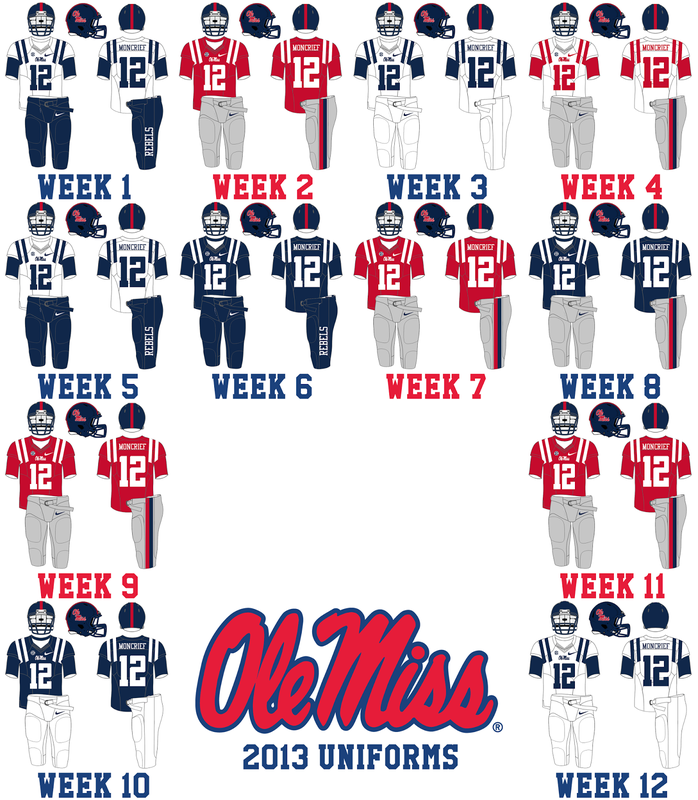 That gives us 12 combinations, or 24 if you count the stripe-less helmet.